22 years after purchasing my first 22 Hornet I decided it was past time for another. With the 204 Ruger continuing to take the small caliber market by storm the popularity of the Hornet once again seems to be fading. Though I don't think the Hornet will ever die completely the number of rifles chambered for it appear to be headed for a low. 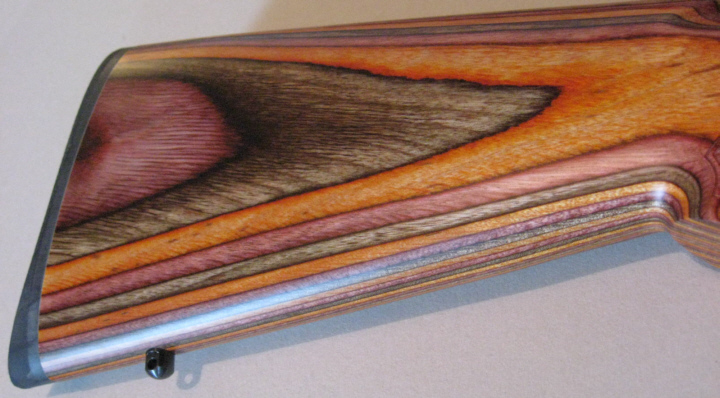 In 2008 CZ offered a limited run of 527 American rifles in 2 versions of Laminated "Camo"; Spring Green and Sunset both of which are pretty sharp. So early in 2009 I ordered 2 of each color for the shop. Ended up keeping a Sunset Camo. It was so different from anything else you see on the market. I did my usual break-in procedure on the new Hornet and mounted a used Bushnell Banner 6-18x50 on top and headed for the range. I have not shot it nearly enough to settle on a "favorite round" yet but Hodgdon Lil'Gun pushing a 40 grain Speer bullet left me stunned. My old Savage 342 has never performed this well for me. Finishing up with this round I tagged the left edge of a 3 inch target with 1 shot, adjusted the scope right and tore 1 ragged hole with the final 2 shots dead center. CZ products impress the heck out of me. 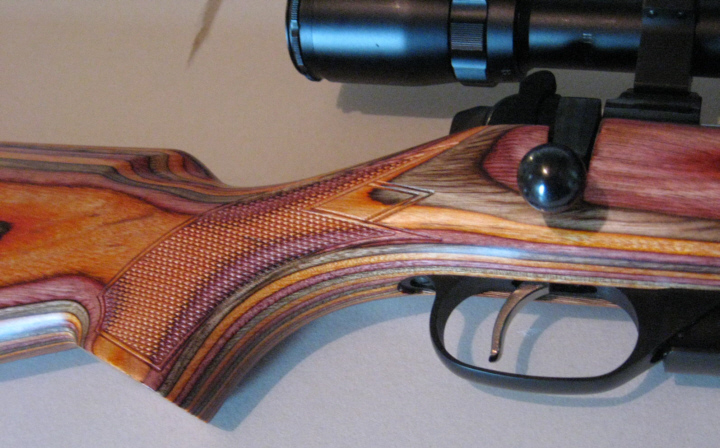 Fit and finish are incredible no matter which of their guns you look at and this one was no exception. They handle great, look great and with the set trigger on the American I think it's one fine piece of equipment. The rings included were tall enough to handle the 50mm objective with the AO. Normally I would just as soon have a lower scope height but so far it does not seem to be a problem.